I’ve spent this week experiencing the nuances of the Whiskey Sour and it is with more than a bit of reticence that we must move on. This cocktail in its many forms is truly wonderful. I’ve tried all manner of combinations this week and can really say I’ve enjoyed them all. With and without egg white being the first. Does the egg white add something? Most definitely. It adds a silkiness to the mouth feel of this drink that is not attainable any other way. Beyond that it adds uniqueness. I assure you that if you serve a cocktail to a friend with this rich foam floating on top and explain its creation they will be awed. Is the egg white required? Absolutely not. Although it adds a lot to the texture of the drink it doesn’t really do anything for the flavor. So, give it a go both ways and decide what you like. Although, as I mentioned earlier in the week older egg whites may give your cocktail some fridge funk flavor, so buy some fresh eggs for this. My next big change was to switch up the base spirit. I tried bourbon, rye, a bourbon/rye mixture, and even single malt scotch. Which was the best? Well…that’s not so easy. They all have their strong points. The bourbon gives the drink a sweet smoothness, the rye a spiciness and the scotch smokiness. Not surprisingly what each lends to the cocktail is the strong points of the flavor profiles of each spirit. So again I have to be vague in my suggestion. Use the whiskey that you like best and you’ll be supremely happy with the results. Finally the bitters, sugar and lemon. Some of the recipes, most in fact, didn’t call for bitters at all. I feel this is an error. Bitters really bring out the flavor of whiskey, but you have to be careful, too much and they can smother those flavors just as easily. My favorite recipe, which is below, uses Fee Brother’s Bitters and Regan’s Orange Bitters together. I really like the spices that the Fee Brother’s Bitters offer more than Angostura in this application and I feel the Regan’s Orange Bitters play extremely well with the lemon juice. The recipe we started the week with called for 1/2 ounce of rich syrup, or the equivalent of 1 ounce of simple syrup. The resulting cocktail was too sweet for my tastes. My final recipe reduces the sugar to 1/2 ounce of simple syrup. Finally the lemon. I didn’t change a thing. This ratio to the base spirit I think is perfect. The only thing I’ll emphasize here is to use the freshest lemon juice you can. If you can’t or don’t want to fresh squeeze juice for every cocktail squeeze a bunch a the beginning of the week and keep it refrigerated. It won’t be as good as supremely fresh squeezed juice but it will be a damn sight better than the stuff from concentrate. 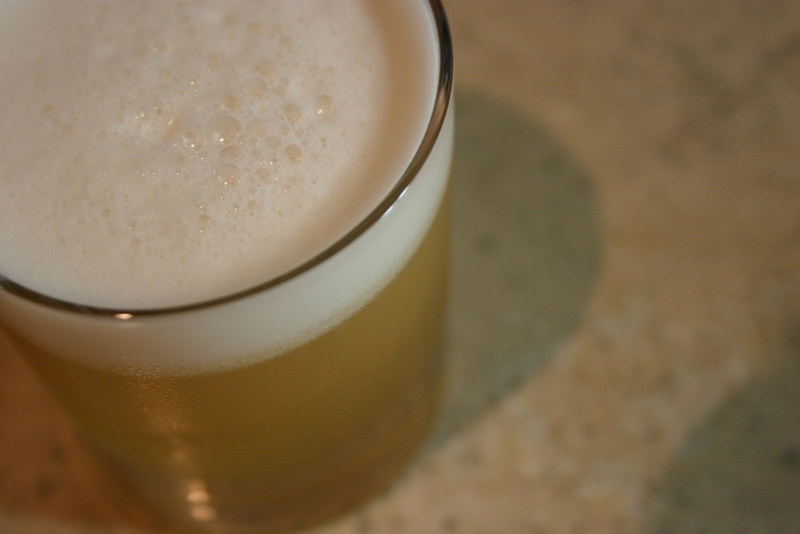 So now I present to you my final Whiskey Sour recipe. Do with it as you please and by all means, Hack It! Zest and juice of 1/2 Meyer lemon. Wow, that does sound tasty! If I can get my hands on Meyer lemons I’ll certainly give it a try. Just tried your whiskey sour, fantastic. 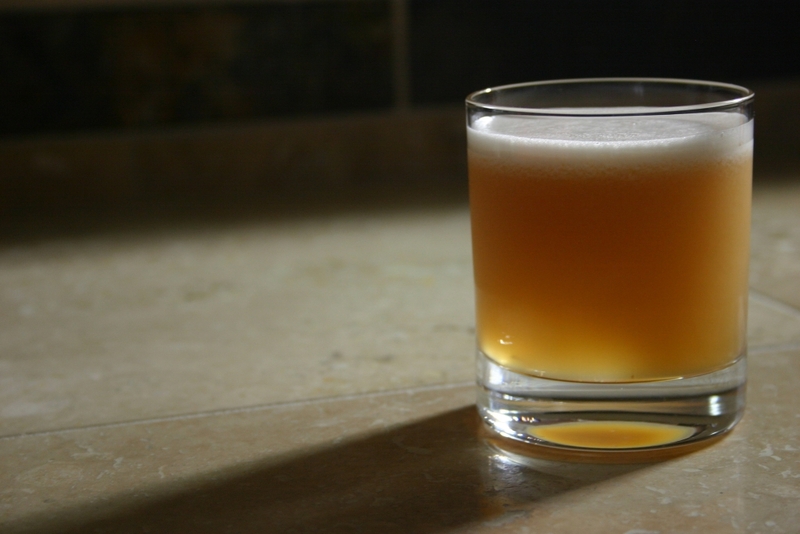 Was wondering if you can gell me how to do the whiskey sour by the batch. I am having family over (8 adults) and would like to serve them. Any hints/suggestions on the best way to make a batch of them? Here’s what I would recommend for batching Whiskey Sours. Multiply the recipe below by the number of drinks you’d like to prepare. Serve them over ice. The added water is to account for the water you’d get from shaking the drink with ice. You can adjust if you’d like either stronger or weaker. Second, I would suggest (sadly) that you drop the egg white if you’re mixing them in advance. It tends to all float to the surface and look like protein sludge if the drink isn’t consumed within about 20 minutes of mixing. Finally, I wouldn’t recommend making these more than a day or so ahead as the lemon juice will start to oxidize and lose its bright, fresh flavor.